We'll cover both methods in this article. 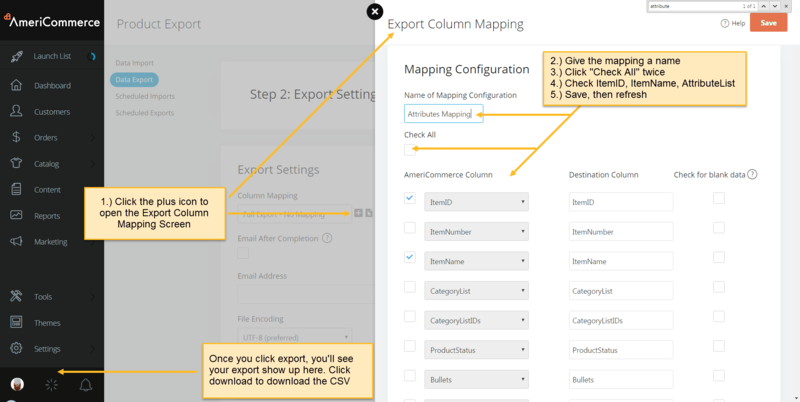 To make this process easier, we're first going to do a product export with a Column Mapping. 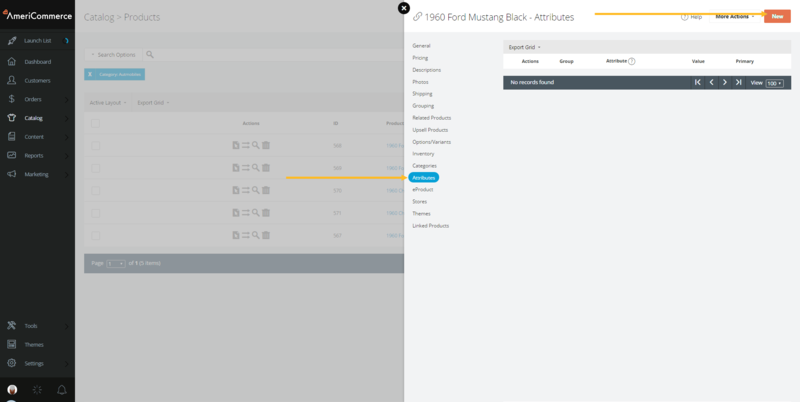 Before performing the export, it is a good idea to add attributes to one product with the steps outlined above, in order to see how the attributes are formatted in the CSV. 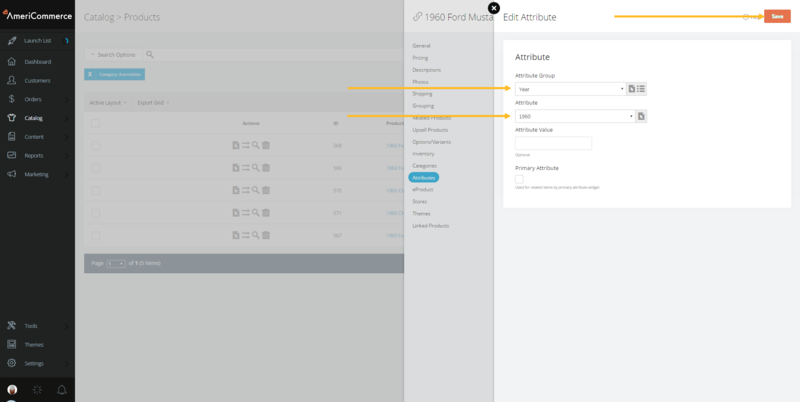 Once you add all the attributes to the CSV, be sure to save the file in the .csv format, then navigate to Tools > Data Imports > Product Import and run the import. What is the purpose of "Attribute Value" in the product? I understand is optional but what purpose does it serve? Why should we fill it or not? Attribute value has a very specific use case. There's a merge code that can be used on product pages (##ATTRIBUTEDETAILS##) that will display the attribute's value. That's pretty much the only place it shows up.